Luke writes on dividing up the work & duties of Church leadership; the disciple Stephen is accused of blasphemy by Jewish priests. Discussion of God’s swift judgement on matters of deceit; As the church grows, the apostle preach at the temple and endure persecution as they proclaim God’s Word. The technology of the 21st century has transformed entertainment and leisure-time choices for the typical American. The gaming industry in America has raised significant concerns for modern psychology. Hollywood has taken the 20th century Marvel comic book and transformed it into a lucrative movie brand that is nothing short of astonishing. What does this tell us about American civilization in the early years of the 21st century? 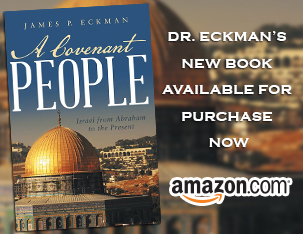 Dr Eckman discusses the bold healing & preaching of Peter & John; the apostles face persecution, as unity & numbers in the Church grow. Can We Distinguish Between Free Speech And “Just Access”? We live in an age where incendiary phrases such as “fake news,” “alternative facts,” and harsh, accusatory, bullying speech are the new normal. In addition, because of the internet and our civilization’s commitment to free speech, radical, extreme views on almost any subject are readily available to everyone. Tragically, there is therefore very little room for critical analysis of what is being said or what is being argued. It is almost impossible to have a reasoned, well-thought-through discussion about anything today. Posted in Featured Issues, Politics & Current Events | Comments Off on Can We Distinguish Between Free Speech And “Just Access”? Peter continues his case that Jesus is the Messiah that the Jewish people have awaited. Log in | 39 queries. 0.235 seconds.